3D printing is a pretty ground breaking technology that is here to change the world. When it comes down to what this technology can do, you'll be surprised. Certain forms of manufacturing such as mold manufacturing and machining or milling methods have been the dominant form of manufacturing on a small scale, but we are encroaching on a revolution within the manufacturing world. Let's discuss what 3D printing is, what it can do, and how it affects artists & sculptors. 3D printing is pretty complex, and there are many different flavors to it. However, there are a couple universal ways that 3D printing works. 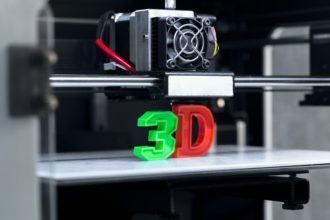 One thing to keep in mind is this: all forms of 3D printing revolve around a computer aided manufacturing (CAM) system. This means that a computer will automate the actual building process behind manufacturing. Essentially, an operator will load up a model, and click "go" to start up a print. Because all forms of 3D printing revolve around a CAM system, all forms of this technology require a 3D model or blueprint. This means that an artist, designer, engineer, consumer, product developer, or whatever you'd like to call it - will have to get on the computer to produce a model. This model will serve as the blueprint, and the computer aided manufacturing system (CAM system) will use this blueprint to produce the final part. The flavor of 3D printing being used plays a large role in how an artist of whatever style designs a print. Some styles of 3D printing use various powders, and have models that can essentially "float" in the build tray, allowing for incredibly intricate pieces. These pieces can have flashy curves, hollow spaces, intricate centers, and interesting features such as a ball within a ball. Other forms of this technology work through FDM methods, which involve laying down layers of material from a nozzle. This method uses support materials, and there is a good bit of slack as to what can be manufactured, but it can't do everything that powder based printing can. Another feature would be (like I mentioned earlier) that all forms of 3D printing involve a layer by layer process. Regardless of how it's being done, a computerized machine is laying down layers of material down on top of previous layers. This could be done through laser melting, bonding and infiltration, ultraviolet light, or whatever - all processes use a layer by layer system when creating products. Aside from that, all printers use at least 1 material within manufacturing, however some printers use more than 1, and the materials used within each style and flavor vary. Some printers have the capabilities to print in metal, while others only focus in plastic. Some printers use over 7 materials at a time, and all of which may offer multiple capabilities. Hopefully this has served you by giving you a fair idea as to how all forms of 3D printing are similar. Although many types of this technology vary in one way or another, all forms have some similarities between them. 0 Response to "Consistencies In 3D Printing"